The stronghold stands at one end of Castle Street, inextricably linked with the history of the town. This was the 'beau marais' (fair marsh) that Edward chose for a castle and garrison town. 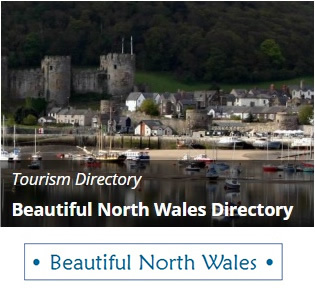 From the outside, Beaumaris appears almost handsome. 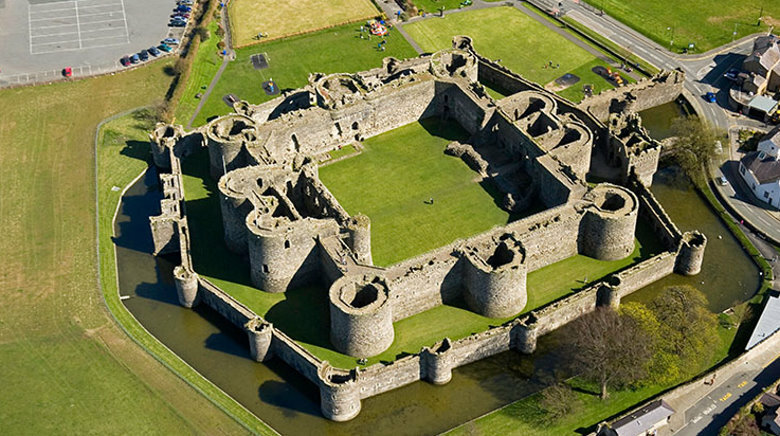 It does not rear up menacingly like other fortresses but sits contentedly in a scenic setting overlooking mountains and the sea, partially surrounded by a water filled moat. 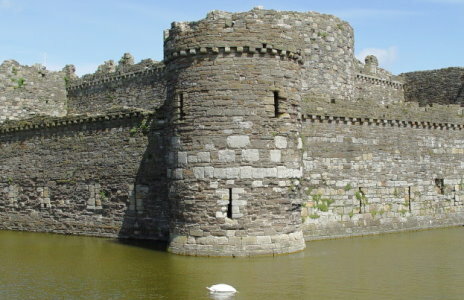 The gate next-the-sea entrance protected the tidal dock which allowed supply ships to sail right up to the castle. 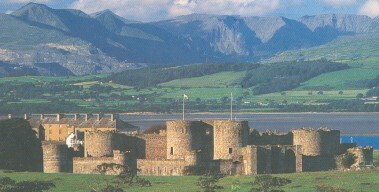 Beaumaris is endlessly fascinating. There is so much to see here, the 14 separate major obstacles that any attacker would have to overcome, the hundreds of cleverly sited arrow-slits, the deadly use of 'murder holes' to defend entrances. Admission Charge:- Adults £6.00, Reduced rate £4.20. Family Ticket:- £16.20 - admits 2 adults and up to 3 children under 16 years.